Step1. Go to Tx- SICF. Step3. Here sap system comes with two engines : SAP engine and SAP_JAVA engine. To check is JAVA engine is active or not. 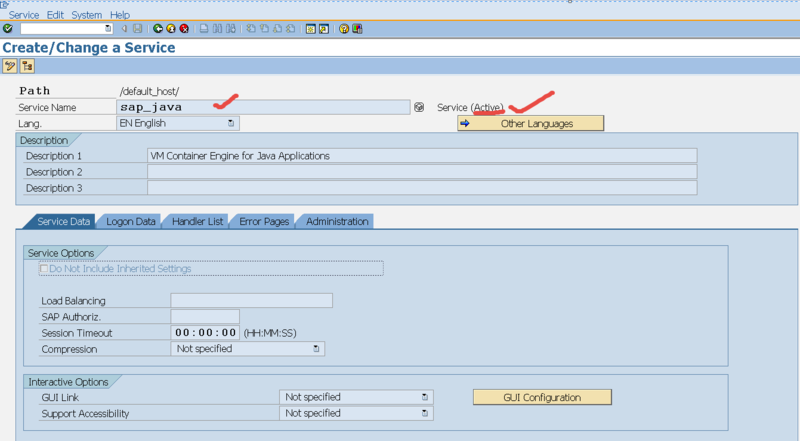 Double click on SAP_JAVA service. Step4. The SAP_JAVA service is active.